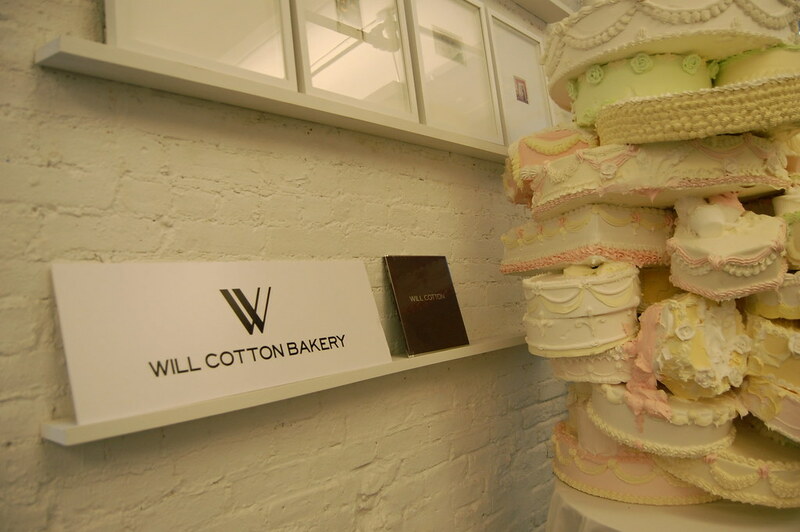 Will Cotton opened his bakery for its third and final day of business this afternoon at Partners & Spade. 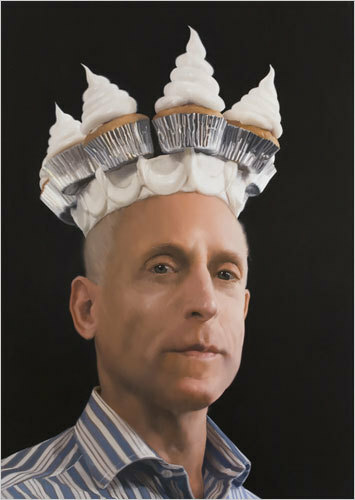 Employees sported cupcake crowns that Ron Warren wore for a portrait by Cotton earlier this year. Business seemed to be brisk as the bakers used a table top oven in the store to keep the goods coming. 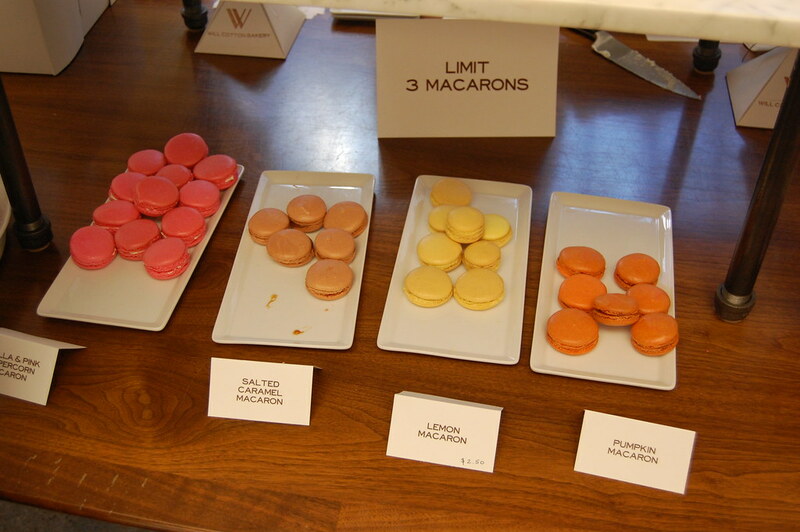 Macarons, a Cotton speciality, were available in four flavors — vanilla and pink peppercorn, salted caramel, lemon, and pumpkin — though the shop had a 'three macaron limit' to maintain its supply, which forced some tough choices. (After great deliberation, I decided to forgo the salted caramel.) Though they were all perfect, the pumpkin was particularly delightful, with an unbelievably creamy, rich pumpkin filling that tasted like an expertly made pumpkin pie. The French staple had never felt so thoroughly American. 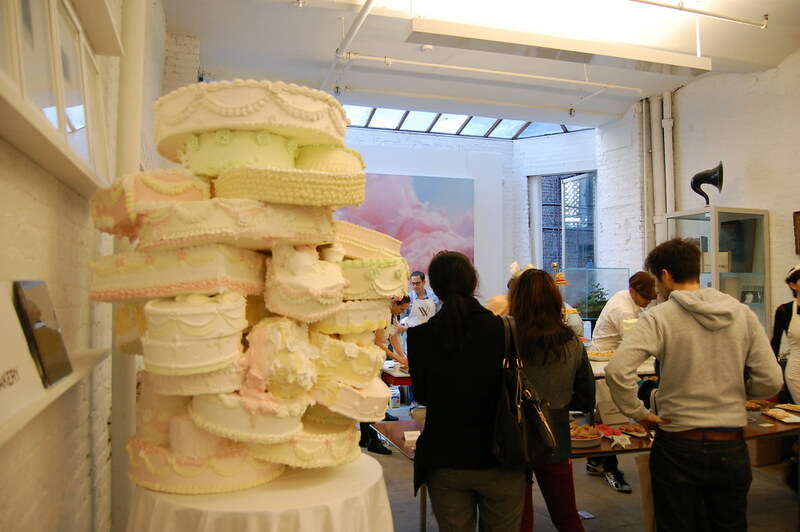 There were also miniature chocolate cakes, superbly decorated birthday cake slices, a remarkable selection of cupcakes, madeleines dusted with confectioners' sugar, and other treats. 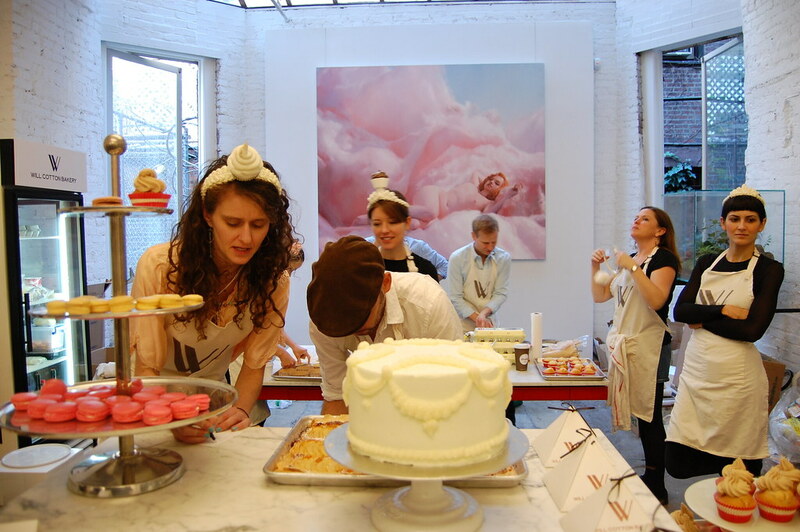 In back, one of Cotton's classic disrobed women haughtily peered down from a painting as she luxuriated in a pink, sugar-filled utopia. 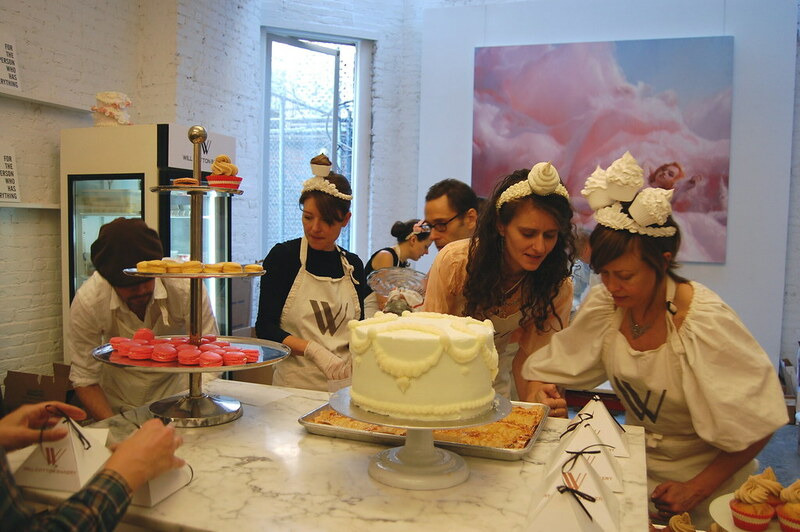 Cotton's shop may be the closest we ever come to her world.